Phase one orthodontics can save time and money in the future by preventing the need for braces or reducing the amount of time that braces are needed for in their teenage years. 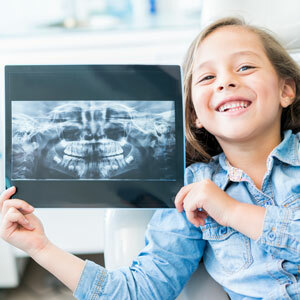 We welcome children of all ages to have their oral health evaluated. Dr. Aggie will perform a comprehensive examination to determine if phase one orthodontics are appropriate. We’ll also take a look at their tonsils and adenoids to see whether they may require removal. If the jaw needs to be altered, a palatal expander will be fitted. There’s no pain involved. Younger children usually need an expander that stays in the mouth at all times, though removable ones are available. There are metal and metal-free options for phase one orthodontics. The total average time of treatment is six months to a year. If tonsil or adenoid removal is necessary, we’ll work in cooperation with your medical provider to make sure your issue is resolved. Often, we catch undiagnosed allergies and can send your child to an allergist. If we believe they have a more complex case, we can refer them to an orthodontist. Insurance usually covers phase one orthodontics Barrington. If your orthodontic benefits are counted as lifetime, it may be best to take advantage of our payment plans and save your benefits for another time. We’ll be happy to advise you on our recommendations once your coverage has been checked. Contact our clinic today to schedule an appointment for your child! After-school appointments are available.